Now, the existence of the parasite isn’t a problem, but if your dog or cat ingests it, they can get sick. How Can Your Dog or Cat Get Giardia? 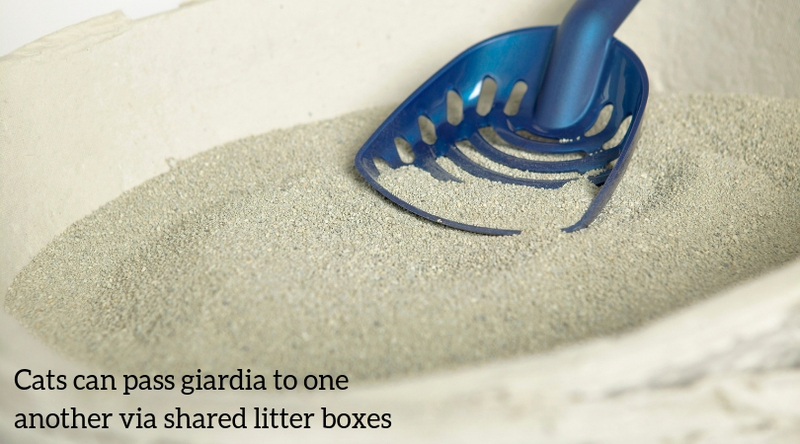 The most common method of contracting giardia is by eating or drinking something contaminated with feces. For example, your pet can get giardia by drinking feces-contaminated water, eating grass, chewing sticks, or even eating poop. It’s gross, but we know they do it! Once the parasite is in your pet’s system, it can be spread to other animals. So if you have a multi-pet household, you’ll want to contact your veterinary team and seek treatment right away. And yes, cats are susceptible as well. If you have cats who share litter boxes, that’s one way they can pass it to one another. Sometimes, your dog or cat seems asymptomatic (not showing symptoms); however, unexplained diarrhea, weight loss, and/or an unhealthy coat can be hints that something is wrong. How Do You Treat Giardia? Your veterinarian will need at least one stool sample to review under a microscope. There are a few medications that your veterinarian may prescribe, though Metronidazole (Flagyl) or Fenbendazole are two of the most common. 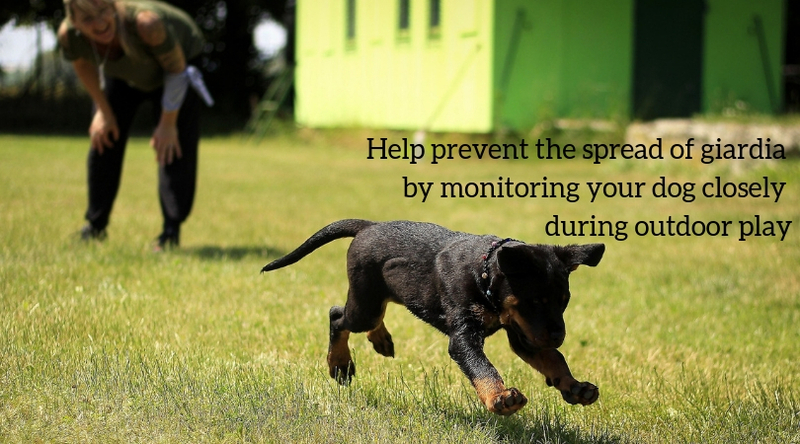 How Can You Prevent Giardia? No one wants their pet to be sick, yet it can be tough to guard against an illness like giardia. We recommend precautions like always having fresh water available for your pet and picking up after them quickly so they (or other pets) don’t eat the poop. Also, try to monitor them when you’re outside. We know that dogs, especially, explore the world through their mouths. Forests, fields, and dog parks sometimes offer less than sanitary opportunities, so keep an eye on them as best you can. As you can see, giardia can cause your pet to feel sick and low-energy, so if you see these symptoms, it's important to get to the veterinarian for a diagnosis. Your veterinarian can help determine what the culprit is, so if you have concerns about giardia or other parasites, contact us right away!